Winter: Ski trips, hot cocoa with marshmallows, kids wrapped in blankets. Spring: Egg hunts, flower fields, patterned umbrellas. Summer: Beach holidays, refreshing ice lollies. Autumn: Back to school, Halloween, changing tree colours. Spot the shapes: Look for patterns in your photos – circles, lines, even flowers – that would look nice against the vibrant backgrounds in the Geometric Brights design collection. The designs are bold and beautiful, so focus on backgrounds that will compliment – not compete with – your photos. Choose coordinating colours: Select photos that have bright accents (an orange scarf, a purple jumper) and pair them with coordinating vibrant backdrops. We heart the deep red heart pattern in Geometric Seasons, perfect for anniversary photos or as a February theme. 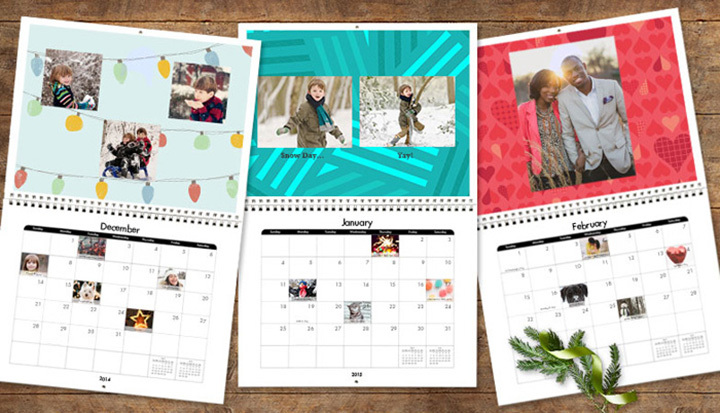 Share the calendar joy with everyone in the family! 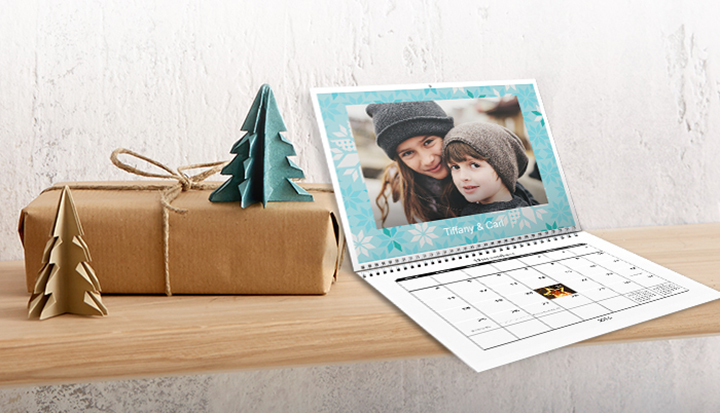 Tagged as christmas calendar, personalised photo calendars, personalised photo gifts, snapfish blog, snapfish calendar.